Due to improvements in central heating technology fitting a new condensing boiler could reduce your heating bill. 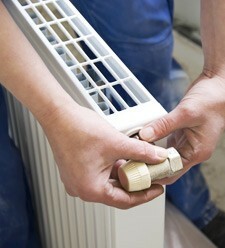 As well as fitting a new boiler, maintaining your existing system properly will help keep the bills down. Whatever your requirement, we are the professionals who are happy to help. New condensing boilers are the most efficient way of heating your home. They work by recovering much of the waste heat which would normally be lost through the flue of a conventional boiler. The most efficient condensing boilers can generate more than 10% more heat than a traditional boiler, for the same cost. With years of experience behind us we can design and install the central heating system that best fits the needs of your property. We work with modern technology so that you get the most benefit whilst keeping running costs as low as possible. During an initial visit we will explain all the options would be suitable for your property. We are happy to come out at a time that best suits you and we offer all customers a free estimate. As a result of the thorough and professional service we offer we have an excellent reputation across Nottingham. Call us on 0115 815 7281 to see how we can help.